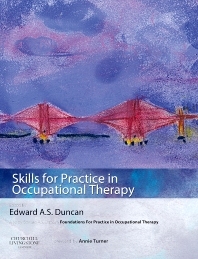 This book is the companion volume to Duncan: FOUNDATIONS FOR PRACTICE IN OCCUPATIONAL THERAPY, 5e and provides a comprehensive guide to the practice applications of the theory base. It is designed to be a "basic and beyond" text, of value to students throughout their studies but also a valuable reference text to clinicians. The sections cover the following essential skills for effective occupational therapy practice: clinical skills, management and leadership skills, evidence-based and research skills, and thinking, judgement and decision-making skills.